It was a close race for first in the New Year’s weekend box office battle, but Little Fockers kept its place at number one for the first weekend of the new year. True Grit and Tron: Legacy kept their spots in the top three. With no new releases this weekend, the box office top ten is a familiar list, with a few spot shakeups. 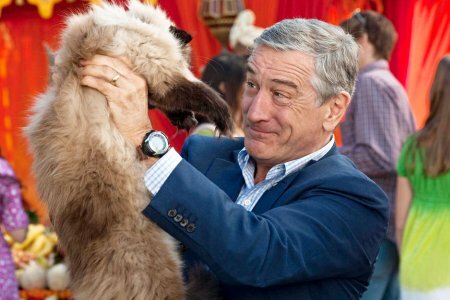 Little Fockers came in first again, with $26.3 million, for a new total take of $103.2 million. True Grit put up a better fight than last week, but still came in second, making $24.5 million this weekend. This weekend pushed the True Grit bank to $86.8 million, making it the biggest Coen brothers hit to date. Tron: Legacy closed out the top three with $18.3 million. That puts the visually stunning Jeff Bridges flick up to a U.S. take of $130.9 million. Tron isn’t getting much play in the rest of the world, however, having banked only $65.5 million abroad. Yogi Bear jumped a spot to fourth with $13 million this weekend, beating back The Chronicles of Narnia: The Voyage of the Dawn Treader, which fell to fifth with $10.5 million. Tangled and The Fighter also swapped places, with Tangled beating out The Fighter by a mere $.008 million to take sixth place. Both came in at about $10 million, just behind Narnia. Gulliver’s Travels stayed in eighth place with $9.1 million, while Black Swan came in ninth with $8.5 million. The King’s Speech bumped The Tourist out of the top ten, with $7.6 million. The Tourist, which was in around four times as many theaters as The King’s Speech, bows out of the top ten having made only $40.8 million in the U.S.
Blue Valentine is getting chatter for having banked the highest per screen average this weekend. The Ryan Gosling–Michelle Williams love story banked $180,000 while running in only four theaters, bringing its total to $278,000. The first full weekend of 2011 will be another quiet one, in terms of new releases. Nicolas Cage and Ron Perlman hit theaters in Season of the Witch, while Gwyneth Paltrow’s Country Strong and Jim Carrey’s long awaited I Love You Phillip Morris expand their releases. The Absent, The Time That Remains and Phil Ochs: There But for Fortune also land.